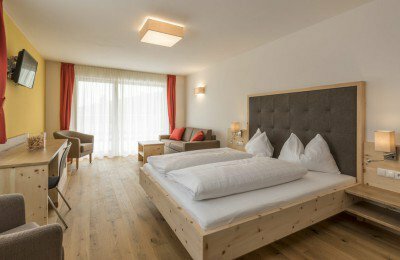 Are you looking for an accommodation in Maranza, right in the heart of the ski and alpine region Gitschberg Val Giovo? 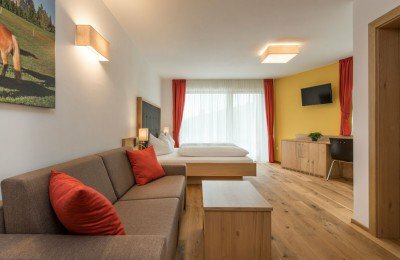 It should be familiar, with a genuine ambience, also child-friendly and best yet close to the cable car to Mount Gitschberg? 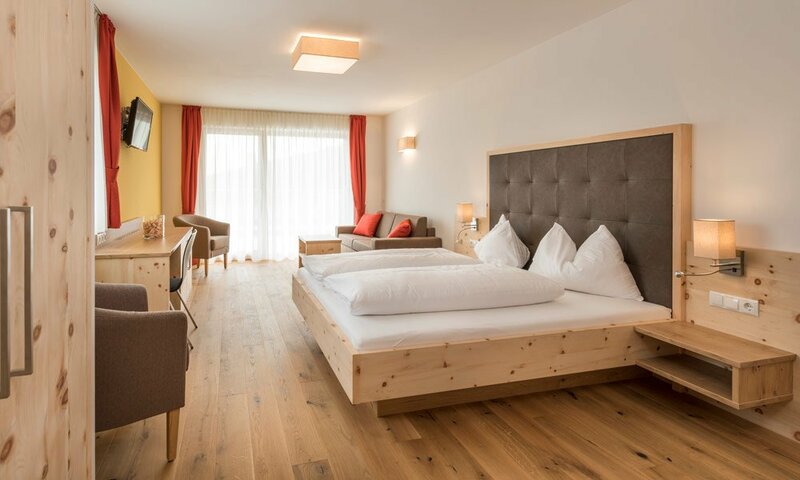 Here with us, you can have it all: At the Hotel Schmiedhof we maintain traditional South Tyrolean hospitality, where you are at the centre of our attention. 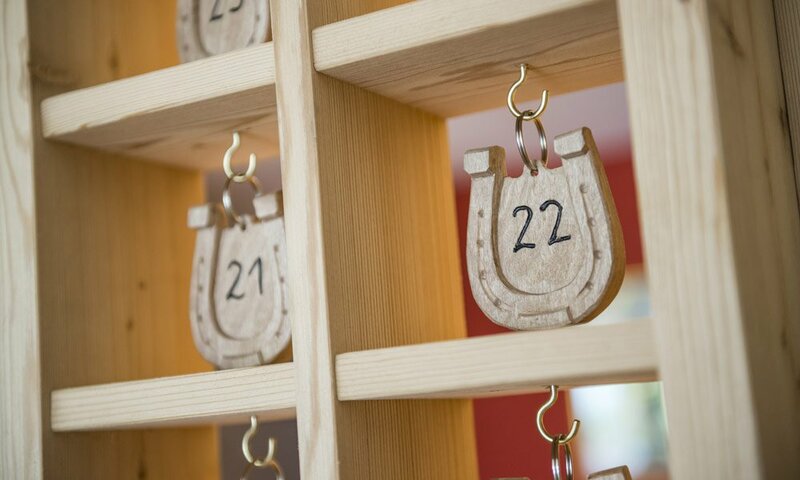 Twelve very comfortable rooms are waiting to welcome you as our holiday guests. Our spacious rooms (41/52 m2) have nicely decorated balconies with great panoramic views. They offer plenty of space for up to four persons, and are therefore ideal for family vacations. 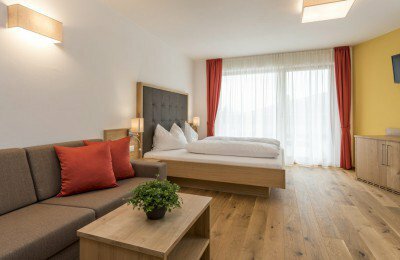 The rustic wooden flooring gives our rooms an alpine look of timeless style. Your holiday home in Maranza has a shower, a toilet, satellite TV and a sofa. Wireless Internet access is free throughout the house. 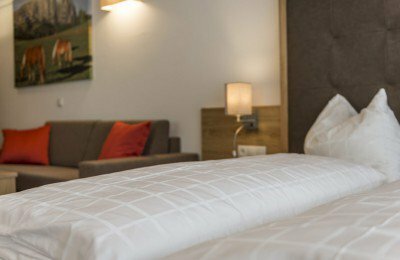 All rooms are suitable for disabled people and for guests with allergies. Would you like to learn more about our rooms or book your accommodation in Maranza? We look forward to your e-mail inquiry.